KABUL, Afghanistan — Two European allies of the United States have been directly participating in so-called kill decisions against insurgents in Afghanistandespite rules prohibiting them from doing so, according to two senior Western officials with knowledge of the operations. The two countries said to be improperly involved in approving strike decisions —Germany, a NATO member of the coalition in Afghanistan, and Sweden, which is not a member of NATO — as well as a spokesmen for the American-led military coalition all denied that anyone other than the United States military had been involved in targeting insurgents. But the two senior officials said that the issue, which has not been publicly disclosed previously, has been quietly increasing tensions between the American military and its NATO and other allies. And the accusations are likely to cause a particular stir in Germany, where constitutional rules forbid offensive military operations in most cases and where human rights groups have joined lawsuitsthat alleged even indirect German assistance for American drone strikes. KARACHI, Pakistan — We are at it again. India and Pakistan are talking a lot these days, mostly about why they don’t want to talk to each other. Our national security advisers were supposed to meet last week. And they were supposed to talk about terrorism. Instead, they did what they do best: They hurled accusations at each other about how the other side doesn’t really know how to talk, and the meeting was canceled. India accuses Pakistan of sponsoring terrorism in India. Pakistan accuses India of sponsoring terrorism in Pakistan, and of having bad manners. To India, it seems obvious that Pakistani militants were behind the 2008 attacks in Mumbai, and it is exasperated that the world won’t punish Pakistan for that. It is upset that the man accused in the attacks, Zaki-ur-Rehman Lakhvi, was released on bail after a leisurely trial in Pakistan, and was able to produce a baby while in prison. India is also upset that the plot’s alleged mastermind, Hafiz Muhammad Saeed, is allowed to roam freely, addressing rallies despite the bounty the American government has placed on his head. In its own defense Pakistan points to all the hundreds of suspected terrorists it has killed in the last year and a half. It reminds India that some 60,000 Pakistanis have been killed by terrorists. India responds by saying: You are only killing the terrorists who kill Pakistanis while protecting the terrorists who kill Indians. China’s display of military hardware in Beijing showcased several new weapons systems built as part of the People’s Liberation Army military buildup, including a new intermediate-range missile capable of attacking U.S. forces on Guam. The DF-26 ballistic missile was revealed to the public for the first time during a parade through Beijing’s Tiananmen Square marking the end of World War II. The Washington Free Beacon first reported last year that the DF-26C had been deployed. Its range is estimated to be at least 2,200 miles—enough to hit targets at the major U.S. military hub on the island of Guam. The DF-26 is one reason the U.S. military has deployed its newest ground-based anti-missile system, the Theater High-Altitude Area Defense, or THAAD, to Guam. The parade appeared to be the latest step in Beijing’s anti-Japan propaganda program, which has sought to portray Tokyo as reverting to World War II militarism. It was impossible to miss the choreography on display in the streets of Beijing Thursday — thousands of goose-stepping troops, tanks in perfect formation, and an array of new missiles. Marking the 70th anniversary of the end of World War II, the parade was a chance for Chinese leader Xi Jinping to stir his country’s nationalist feelings and also to assert his own authority by announcing plans to slash 300,000 troops from China’s bloated military. But before the tanks ever got rolling, Chinese censors worked hard to ensure that the parade would be a propaganda success. In the weeks leading up to the parade, Beijing didn’t just direct its state media apparatus to cover the preparations in exhaustive detail. Behind the scenes, it also continued its campaign to limit what citizens can see online by clamping down on the tools ordinary Chinese use to jump what is widely known as the Great Firewall. The phrase refers to restrictions preventing Chinese netizens from accessing certain sites deemed inappropriate by the government. In response, a cottage industry of so-called “circumvention tools” have popped up to allow ordinary Internet users to bypass those obstacles. China is slashing 300,000 troops, but the cuts aren’t being made to reduce tensions with Beijing’s increasingly anxious neighbors. Instead, China is trying to trim the fat from a force burdened with massive Soviet-era bureaucracy, aging equipment, and enormous numbers of poorly trained, badly paid draftees. Chinese President Xi Jinping announced the cuts in a public address after a military parade marking the 70th anniversary of the country’s victory over Japan in World War II. Hours after Xi spoke, a Defense Ministry official told a press conference in Beijing that units with the most out of date equipment will be targeted first, along with administrative staff. The savings will be used to pay for new modernization programs in the Chinese navy and air force, as well as funding cyberoperations and raising the pay and living conditions for those who the military most wants to keep. Even with the cuts, the Chinese military — which currently has more than 2 million troops — would remain the largest in the world (the United States, by comparison, has 1.4 million active duty forces). On Sept. 3, China held a military parade — the 15th since its founding and the first to celebrate its victory over Japan in World War II. Highlighting Beijing’s commitment to “preserving world peace,” according to official pronouncements, this parade showcased China’s most advanced military capabilities, including ballistic missiles, tanks, and fighter jets. Twelve thousand troops marched past Tiananmen Square in view of the assembled dignitaries, including 30 visiting heads of state. The parade was more than a display of raw power: It projected a narrative that placed China, especially the ruling Communist Party, at the center of the global anti-fascist and anti-imperialist struggle. The U.S. Hoped Indicting 5 Chinese Hackers Would Deter Beijing’s Cyberwarriors. It Hasn’t Worked. On May 19, 2014, Attorney General Eric Holder walked up to a podium at the Justice Department and accused a group of five hackers with names like UglyGorilla and KandyGoo of carrying out a high-tech campaign of electronic burglary against prominent American businesses like U.S. Steel and Westinghouse Electric. Despite their teenage monikers, the 48-page indictmentsaid the perpetrators were soldiers from Unit 61398 of the People’s Liberation Army, a premier crew of cyberwarriors within the Chinese military. 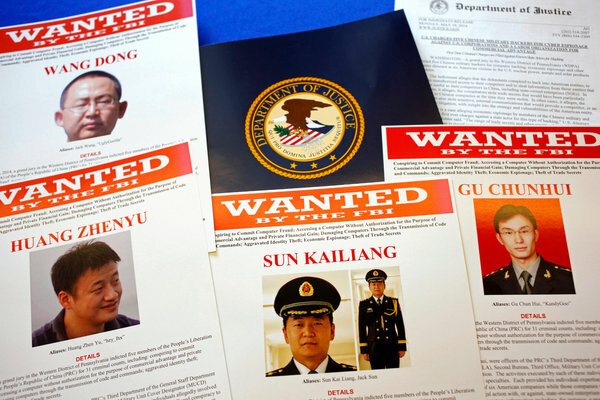 Going after the Chinese officers, Holder said, “makes clear that state actors who engage in economic espionage, even over the Internet from faraway offices in Shanghai, will be exposed for their criminal conduct and sought for apprehension and prosecution in an American court of law.” For good measure, the Justice Department even distributed wanted posters with pictures of the hackers in their Chinese military uniforms. But nearly a year and a half after that indictment was unveiled, the five PLA soldiers named in the indictment are no closer to seeing the inside of a federal courtroom, and China’s campaign of economic espionage against U.S. firms continues. With Chinese President Xi Jinping set to arrive in Washington for a high-profile summit with President Barack Obama later this month, the question of how — and, indeed, if — the United States can deter China from pilfering American corporate secrets remains very much open. The indictment of the PLA hackers now stands out as a watershed moment in the escalating campaign by the U.S. government to deter China from its aggressive actions in cyberspace — both as an example of the creative ways in which the United States is trying to fight back and the limits of its ability to actually influence Chinese behavior. This year has seen a sharply increased number of attacks on asylum hostels in Germany, many of them perpetrated by right-wing extremists. Officials are concerned that neo-Nazi networks may be spreading across the country. It was April 16 when around 100 right-wing extremists marched through the small town of Nauen in the eastern German state of Brandenburg. Their message: "Nein zum Heim!" or "No to the Hostel!" They carried posters and German flags along with them. "Nauen Will Stay White!" read one. "Take Action!" read another. One day later, employees of Mikado, a local youth center, found that the tires of the center's minibus had been slashed. There was a note under the windshield wiper reading: "Dear asylum friends, Tröglitz is here too." The reference was to an arson attack on a refugee shelter not two weeks before in the town of Tröglitz in the eastern state of Saxony. Lake Urmia, in Iran’s northwestern corner, was once the planet’s sixth largest salt lake, covering about 5200 square kilometers—a bit larger than the Great Salt Lake in Utah. Flamingos, egrets, and other waterfowl feasted on brine shrimp, and resorts catered to tourists who believed that bathing in the saline waters improves health. But after gradually receding for years, the water body that the local Azeri people once revered as their “turquoise solitaire” shriveled last year to a mere 10% of its maximum. Salt lakes pulse like lungs, swelling during wet periods and contracting during the dry season. But Urmia’s contraction at the end of 2014 was more like a death rattle. Political science students in much of the world are gearing up for the new school year, but in one country, their peers had better scramble fast for a different major. Uzbekistan, the former Soviet republic in Central Asia, apparently just banned poli-sci from universities across the country. There hasn't been a government announcement yet. But a prominent Uzbek political scientist recently posted a rare open letter on Facebook denouncing the move, and other Central Asia watchers have concurred. According to the political expert, Uzbekistan’s Ministry of Higher and Specialized Secondary Education ordered the ban last week. He said the reasons include what officials believe to be the discipline’s lack of scientific rigor, as well as its “exclusively” Western body of literature, which apparently obscures the particular Uzbek nature of politics. But critics see right through that. Most Americans are aware of the aggressive Russian actions in recent years in Ukraine (seizing Crimea and participating in efforts to destabilize the rest of the country) and Eastern Europe. What is less well known is Putin’s effort in Syria. A story by Michael Weiss in The Daily Beast tells us what is actually happening, as its title conveys: “Russia Puts Boots on the Ground in Syria.” Not only is Russia arming the Assad regime, but there is now evidence that Russians are on the ground with Assad’s forces actually operating the equipment. Weiss refers to “compelling evidence that Russians have embedded with the Syrian military.” Assadrecently told Hezbollah’s TV station that “We have strong confidence in the Russians, as they have proven throughout this crisis, for four years, that they are sincere and transparent in their relationship with us,” and he appears to be right. 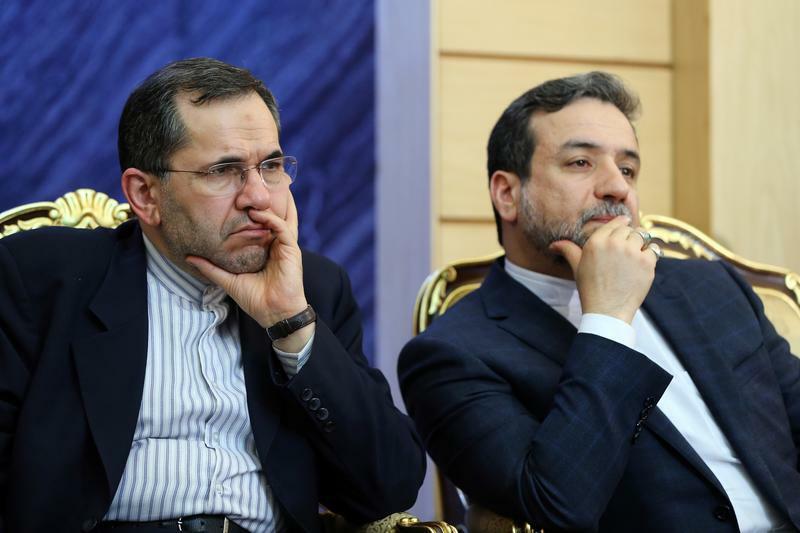 Details of the nuclear talks between Iran and the five permanent members of the Security Council plus Germany have been made public thanks to Abbas Araghchi, an Iranian deputy nuclear negotiator - much to Araghchi's dismay. The website of the Islamic Republic of Iran Broadcasting, or IRIB, accidentally published the minutes of an off-the-record briefing with Araghchi on Aug. 5. The transcript was removed within hours after Araghchi voiced his anger, but the damage had been done. Araghchi's briefing was meant exclusively for the senior management of the IRIB, the Islamic Republic's state television broadcaster and a major propaganda tool. The head of the IRIB is always appointed by the Supreme Leader, and its management is selected from senior employees of either the Islamic Revolutionary Guard Corps or the Ministry of Intelligence. Former IRIB heads have included high-ranking Revolutionary Guard officers such as Ali Larijani and Ezatollah Zarghami. IRIB management are culled from the exclusive club of ruling elite and from their underlings in the Islamic Republic. Members of this club do not generally change; they simply move from one position to another. Therefore, it is difficult to imagine that Araghchi would falsify facts to people ultimately responsible for implementing the terms of the Iran deal and its secret side agreements. Islamic State fighters have regained territory in the contested city of Baiji, home to Iraq’s largest oil refinery, the Pentagon said Wednesday. Fierce fighting has been taking place for months in and around Baiji, and Iraqi forces and militia fighters had in recent weeks pushed back IS fighters in the northern town. But much of that progress has been undone, Pentagon spokesman Captain Jeff Davis told reporters. “We had seen some recent progress in recent weeks where the ISF (Iraqi Security Forces) had been able to regain some territory inside the city,” he said. Davis said the United States remained committed to helping Iraqi forces. How to counter the Islamic State is an especially difficult problem for Western policymakers, but the issue of compromise, and which devil to dance with, cannot be dodged forever. “My children,” President Franklin Roosevelt pronounced in his fatherly way in November 1942, “it is permitted you in time of grave danger to walk with the devil until you have crossed the bridge.” It was an old Balkan proverb. The bridge of his time was the war against Nazism — barbarism without limit — allied with imperial Japan, which was carrying out an Asian holocaust of its own. The devil, that day, was Vichy France. At the price of reaching an accord with collaborator Francois Darlan, Roosevelt purchased the cooperation of French forces in North Africa, an important shift in the ground campaign. The principle is clear but painful. In a supreme emergency, when battling a force of exceptional barbarity, it is prudent to make the moral compromise of bargaining with the allies that are available. Even if the costs of trafficking with “the enemy of my enemy” are steep. Today, proverbs about lesser evils bear repeating as the luckless people of Syria and Iraq feel the Islamic State’s blade. According to recent press reports, the Pentagon’s Inspector General isinvestigating whether officials from U.S. Central Command (CENTCOM) have skewed intelligence assessments to show more progress in the fight against the Islamic State than the facts would justify. Allegedly, these politicized assessments have made their way to senior officials right up to the president. We do not yet know the full truth but these are serious allegations; politicization is one of the most profoundly unethical acts that intelligence officers can engage in. If the charges are substantiated, this will not be the first time that the U.S. military has cooked the books on a war. In 1967, the U.S. Intelligence Community produced Special National Intelligence Estimate 14.3-67, “Capabilities of the Vietnamese Communists for Fighting in South Vietnam,” which is available at the CIA’s Freedom of Information Act website. The sordid story of this estimate encourages us to take a hard line on politicization. It also reminds us, however, that intelligence is an inherently uncertain business. The bomb turns 70, and the world faces a new nuclear future. Of all the exhibits of horror in Hiroshima’s Peace Memorial Museum—twisted bicycles, melted eyeglasses, burned rubble—one stopped me in my tracks. It was a small section of wall and steps. On it, a dark half-oval is burned into the stone, with vertical shading on the steps. It is the silhouette of a human being, vaporized by the atomic explosion on August 6, 1945. At 8:15 A.M., most of downtown Hiroshima disappeared in a searing flash of light and a crushing blast of superheated air. At least 70,000 Japanese (including around 20,000 soldiers) were killed by the firestorm that incinerated the city’s wooden houses and buildings. Three days later, on August 9, the city of Nagasaki was similarly destroyed, this time with the immediate death of around 40,000 civilians. Tens of thousands more would die in coming weeks and years from burns and radiation sickness. For 70 years since those August mornings, the world has been spared another nuclear bombing. Even as the United States and the Soviet Union built enormous stockpiles of nuclear warheads, reaching a maximum combined total of 64,500 in 1986, neither they nor the other official nuclear powers ever detonated a nuclear weapon during a conflict. Since the end of the Cold War, in particular, the threat of nuclear war has appeared to recede, and the massive nuclear arsenals relegated in importance to the backwaters of national strategy. Last week the White House puffed its feathers when Barbara Mikulski became the 34th Democratic senator to come out in favor of the nuclear deal with Iran. Mikulski’s support ensures enough votes in Obama’s pocket to sustain a presidential veto on a resolution of disapproval, but it’s still not clear why the administration is celebrating. A majority of senators and congressmen oppose Obama’s signature foreign policy initiative. So does most of the American public, by a two-to-one ratio according to a new poll released last week. In other words, the administration may have won this round, but the fight over the Iran deal isn’t over. The other critical actor is the White House’s negotiating partner in Tehran. The clerical regime looks at the American political landscape and sees that it is operating in a protected environment that may change very quickly when a new administration comes to the White House in 16 months. Unlike the Obama White House, the Islamic Republic understands that the fight over its nuclear weapons program will continue. MAKS: IS RUSSIA DEVELOPING AN F-35-HUNTING UAV? Russia could be working on a low-observable, F-35-hunting unmanned air vehicle that uses deeply-integrated electronic warfare systems to stay hidden from radars. The tip-off comes from electronic systems producer KRET, which has a curious UAV model on display at the MAKS air show in Moscow. According to the company’s first deputy chief executive officer Vladimir Mikheev, this aircraft model is more than just a sleek promotional display – it is an advanced military UAV being developed by the United Aircraft Corporation (UAC). Concern Radio-Electronic Technologies (KRET) is a subcontractor on the project, he says, providing the fundamental communications, radar, electronic warfare and self-protection systems, as well as the ground control station. Speaking via a translator, Mikheev tells Flightglobal that the company is involved with two military UAV projects – one in development and one in the concept phase – but both ventures of UAC. The UN High Commission for Refugees estimates that 300,000 people have crossed the Mediterranean into Europe this year and 2,500 migrants have lost their lives in the crossing attempt. With the current migration trend unlikely to reverse itself any time soon, politicians across Europe need to act fast to agree on new policies to stop the deaths and agree on a long-term solution to the migration crisis. The push factors behind migration to Europe – war, state persecution and poverty, as well as lack of economic opportunities in much of Africa and theMiddle East – will continue to persist in the decades to come. The recent death of 70 migrants in the back of a lorry in Austria serves as a reminder that the misery and tragedy of the migrant issue is no longer contained on the periphery of the Europe on the islands of Lampedusa and Kos. It has arrived in the heart of the continent. In the absence of a common EU migration policy, each country currently fends for itself. In light of the events so far this year and the projections for the years to come, politicians across Europe need to accept that an EU-wide migration management strategy is desperately needed: no country can solve the current and future migration challenge by itself. They also need to share the burden of migration fairly between countries – an idea strongly advocated by German chancellor Angela Merkel, and put on the table by a group of MEPs in July. Terrorism in its modern form has been with us for decades and has continuously expanded its sphere of influence and operation, Dr. Ajai Sahni, founding member and executive director of the Institute for Conflict Management in New Delhi said. He was speaking at the international Defence Seminar themed 'National Security in the context of Emerging Global Threats' on Tuesday. Dr. Sahni said it yet never fails to take its victim societies by surprise when it is applied in a new theatre, however gradual or deliberate its march. "Target states have, almost without exception, been shocked into an utter confusion of responses in the wake of each such expansion, and there is little evidence that the experience of other nations or communities has ever been absorbed into the policies and strategic perspectives of those nations that do not themselves have prior experience of terrorism," he said. To be free to travel. That was the dream of the millions who had lived under the Communist regimes in Eastern and Central Europe. That dream came through in summer 1989 when theHungarian government cut the barbed wire fence that divided the country from Western Europe. Thousands of East Germans who had made their way to Hungary crossed into Austria. It was the beginning of the end of a divided Europe. A few months later, the Berlin Wall, which symbolized the division of Europe into two ideological and physical blocs, was torn down. Europe was finally whole and united. Then came the introduction of the EU’s Schengen system, which abolished border controls between most European Union countries. That gave Europeans from Eastern, Central, and Southeastern Europe a real sense of living in an open and seamless Europe. But that open Europe is now in jeopardy as governments build walls against refugees, against Russia, and against the Roma. The more governments build such fences, the more they undermine the EU as an open, democratic, and free space—qualities and values that have made Europe attractive and a beacon to others. Pictures allegedly shot over Idlib and posted on Twitter seem to suggest Sukhoi Su-27 (or derivative) Flanker, Mig-29 Fulcrum, Su-34 Fullback jets and Pchela-1T drone are operating in Syria. Provided the pictures are genuine and taken in Syria in the last couple of days, they would really prove a Russian expeditionary force has already arrived in the country and started flying from an Assad-controlled airbase near Damascus as reported by some Israeli media outlets. During the past days, Flightradar24.com has exposed several flights of a Russian Air Force (even though the registration shown by FR24 is Syrian – there has been a bit of confusion around this plane since if was first logged in Sept. 2014) Il-76 airlifter (caught by means of its Mode-S transponder) flying to and from Damascus using radio callsign “Manny 6”, most probably supporting thedeployment of a Russian expeditionary force. Recent reports claimed Russia was in talks to sell Damascus some MiG-29s but the rumors were refuted by MiG CEO Sergei Korotkov. If the pictures are real, the current makeup of the Russian detachment would include attack planes (Su-34), as well as some air-superiority ones (MiG-29 and Su-27) and UAVs (Pchela 1T – a drone with a of range 60 km). Ukraine aspires to be part of the West, but remains firmly in the Russian Internet world, leaving the country exposed to Russia’s cyberattacks and espionage. According to a report by PrivatBank, Ukraine’s largest commercial bank, a total of 64 percent of all email accounts in Ukraine are registered with Russian services like Mail.ru and Yandex. Only in Lviv and Kyiv is the market share of Russian providers less than 50 percent. In many eastern regions, more than three quarters of all email accounts are on Russian websites. Furthermore, vKontakte remains as Ukraine’s most popular social media platform and as the most second visited website after Google, according to statistics from Alexa. The Russian companies with their servers mostly in Russia are subject to what is called as the System for Operative Investigative Activities,’ or SORM. SORM requires Russian Internet service providers, which connect Internet users to the servers of the websites they are visiting, to give Russian intelligence services direct access to monitor their data traffic. Russia’s new law, which requires companies processing personal data on Russian citizens to store this data on local servers, came into force on Tuesday. It’s just the latest in a string of measures aimed at increasing government control over the Internet since President Vladimir Putin was re-elected in 2012. Russian authorities say the law is there to help secure data by Russian citizens in the wake of former NSA contractor Edward Snowden’s allegations of widespread spying. However, critics have said it raises serious privacy concerns, as the law makes it easier for the Russian government to spy on its own citizens. “Nobody asked them to protect personal data of Russian citizens, it was always a government initiative,” said Andrei Soldatov, an investigative journalist who covers Russia’s intelligence agencies and who co-authored the book “The Red Web” on the Internet in Russia. Backdoor access to citizens’ data? Two years have passed since Edward Snowden exited Moscow’s Sheremetyevo airport and began a new life in exile. His revelations of hitherto unknown US and UK programmes of mass surveillance initiated a global debate, and some minor reforms. President Obama vowed to stop spying on Angela Merkel and other friendly western leaders. But what happened in Russia, the host country where Snowden now appears to be indefinitely stuck? The answer is a dispiriting one, at least according to Andrei Soldatov and Irina Borogan, two brave Moscow-based journalists who have followed the development of the Russian internet since its earliest days. The timing of Snowden’s arrival in Russia in summer 2013 was lousy, they write. The Kremlin was in the middle of a large-scale offensive against internet freedoms. Russia’s spy agencies have the ability to snoop on emails via Sorm, a sophisticated system first developed by the KGB to eavesdrop on phone calls. The FSB’s (Federal Security Service) legal powers go well beyond those of the US National Security Agency or GCHQ. Russian internet service providers are obliged to install Sorm black boxes; they have no clue as to what Russian intelligence agents choose to intercept. A disaster has been averted. The nuclear deal concluded by six major powers with Iran is now unstoppable in Congress. The only question is whether President Obama will have to veto a Republican resolution of disapproval, or whether Democrats will have enough votes to spare him that obligation by filibustering the resolution and ensuring it never leaves the Senate. The second outcome would be preferable. An override-proof presidential veto of a congressional resolution of disapproval is not the best path to a historic international accord. Major arms control treaties used to be bipartisan affairs. Those days are gone. Still, Republican maneuvering, backed by Prime Minister Benjamin Netanyahu of Israel, has not prevailed. That’s a victory for reason in a season of rage. Why has a disaster been averted? 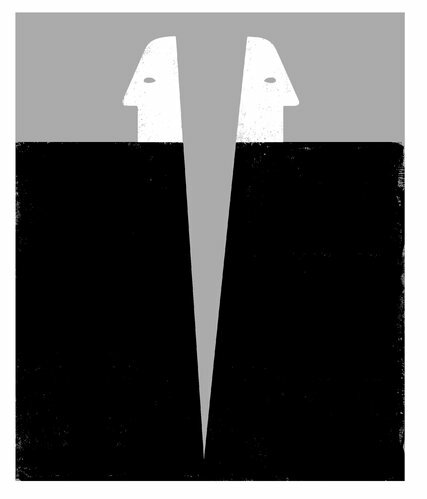 Because if the deal had unraveled in Congress, so would America’s standing as a global power. Russia, China and the European Union would have concluded that the United States is unserious. To negotiate over years a tough compromise obliging Iran, among other measures, to slash its stockpile of enriched uranium by 98 percent and its operating centrifuges by two-thirds, and then walk away in a righteous and deluded funk — well, that’s not how America won the respect of the world. It did so by being consequential in hot wars and cold. ZURICH — A ship built by the CIA for a secret Cold War mission in 1974 to raise a sunken Soviet sub is heading to the scrap yard, a victim of the slide in oilprices. But the oil price rout means the former spy ship now called GSF Explorer is just one of 40 such offshore drilling rigs that have been consigned to scrap since last year. The sub sank with nuclear-armed ballistic missiles and nearly 100 sailors, according to declassified documents at George Washington University’s National Security Archive. While speculation that North Korea intends to launch a long-range space launch vehicle (SLV) on the 70th anniversary of the Korean Workers’ Party in October continues, it is still not possible to determine whether Pyongyang will conduct such a launch using commercial satellite imagery. Imagery from August 27 and September 1 show that a movable structure on the launch pad–intended to transfer SLV stages and components from the Stationary Preparation Building to the gantry tower–has shifted back and forth since observed in mid-August. That movement may have occurred for a number of reasons ranging from testing the recently completed movable structure to launch preparations. Besides the fact that the general low level of activity throughout the facility suggests a launch is not going to occur over the next few weeks, in the case of a possible October launch, it is probably still too soon to move the SLV to the gantry. The DNI submits this summary consistent with direction in the FY2012 Intelligence Authorization Act, Section 307… The report can be accessed here. TAIPEI, Taiwan – The Ministry of National Defense (MND) yesterday called on prosecutors to appeal the latest ruling after Taipei District Court on late Tuesday handed out relatively lenient sentences to several retired military personnel involved in a high profile Chinese espionage case. Military spokesman Luo Shao-ho urged prosecutors to do so as lenient sentences levied upon Taiwanese who serve as Chinese spies could hardly serve as a deterrent to those who are willing to betray their country in exchange for money. “Those ex-military personnel had long been under the nation’s care for decades and yet they have failed to keep a safe distance from the enemies and ultimately sold out the country,” Luo said. Their illicit behaviors have inflicted major damage to national security and the operations of the Armed Forces and thus they deserve to be given harsher jail terms, he added. A new report Thursday shows that the Pentagon wasted more than $700 million on a minehunting system that continues to perform poorly in tests after 16 years of development. The finding is from "America's Most Wasted," a regular report released by Sen. John McCain, R-Ariz., that details some of the programs that waste taxpayer dollars. The Navy's Remote Minehunting System is designed to help U.S. ships find and destroy sea mines, but "has consistently performed poorly in testing and yielded no results for the military," a release from the senator's office said. "At a time when the defense budget continues to shrink while global threats emerge every day, it is absolutely critical for the Defense Department to stop throwing more taxpayer dollars after bad and start investing in programs that enhance the capability and readiness of our warfighters," McCain said in a statement. Fighter jets roaring overhead, NATO on Thursday inaugurated a military center in the Lithuanian capital amid growing concerns in the Baltic countries over Russia's military presence. NATO Secretary-General Jens Stoltenberg, who joined Lithuanian President Dalia Grybauskaite for the opening ceremony, described the new unit as a "big step forward toward greater solidarity, greater strength and greater readiness." The NATO force integration unit in Vilnius is one of six small headquarters — manned by some 40 staff each — that opened this month in Bulgaria, Estonia, Latvia, Poland and Romania, as part of the alliance's biggest reinforcement of collective defense since the end of the Cold War. Grybauskaite welcomed the new units, saying they would ensure the quick and effective movement of troops. "And they help send a very clear message — no NATO ally stands alone," she said, pointing to Russian aggression in Ukraine as threatening the security of Europe. "This is why we have decided to bolster our security." September 3rd will mark 232 years since the end of the American Revolutionary War, with the signing of the Treaty of Paris. While this treaty was a monumental step for the new United States, it also laid the groundwork for future international strife and set the priorities for the new nation. As the U.S. continues to develop its relationship with the rest of the world, primarily in the Middle East, it is perhaps useful to look back on the negotiations that took place in 1782–1783, especially in light of the negotiations with Iran that took place this year. The stage for the peace treaty had been set with the victory of combined American and French forces over the British garrison at Yorktown, Virginia, in October of 1781. Over 8,000 British soldiers and sailors had surrendered to George Washington and his French allies in the last major battle of the American Revolution. This was the major military blow that convinced the British government that the cost to fight the American colonies outweighed the benefits of keeping them. What really brought the British to the negotiating table, however, was the four-front war that they were now fighting. France, the Netherlands, and Spain had all joined the war, on the American side, and were using the conflict as an excuse to grab land in the Caribbean, Africa, and India. Spain was gunning for Gibraltar, that British fortress that controlled the mouth of the Mediterranean just under Spain’s nose. Spain had France’s word that this time, Gibraltar would fall. In fact, there were a whole series of agreements governing the conduct of the war from the French, Spanish, and American sides. France had agreed to fight until the United States gained independence. Spain was convinced to join the fight on the condition that France continue the war until Spain had met its goals, namely, taking Gibraltar. Therefore, France and the United States could not make peace without the other, while France could not make peace without Spain. There were huge protests over the weekend in Japan against legislation, approved in principle by the Abe cabinet in July, which will reinterpret the Japanese Constitution to permit the very limited exercise of collective self-defence.This fierce public opposition to the normalisation of Japan's Self Defence Forces highlights two connected problems for Prime Minister Abe. The size and cross-sectional nature of the protests highlight a serious policy communication problem for the Japanese Government in general, and a particular problem for the Abe administration. There is a strong bipartisan consensus, supported by Japanese public opinion, that Japan faces a very serious and growing security threat from China and North Korea. As shown by the 2010 National Defense Program Guidelines released under the Democratic Party of Japan (DPJ) administration, there also is strong bipartisan support for Japanese foreign and security policy to become much more focused on these neighbourhood threats, for a stronger US-Japan alliance and for Japan to play a more active alliance and regional security role.